Meet Borka - one of Ljubljana's finest producers, who's sampling and chopping just to make your heads bob. 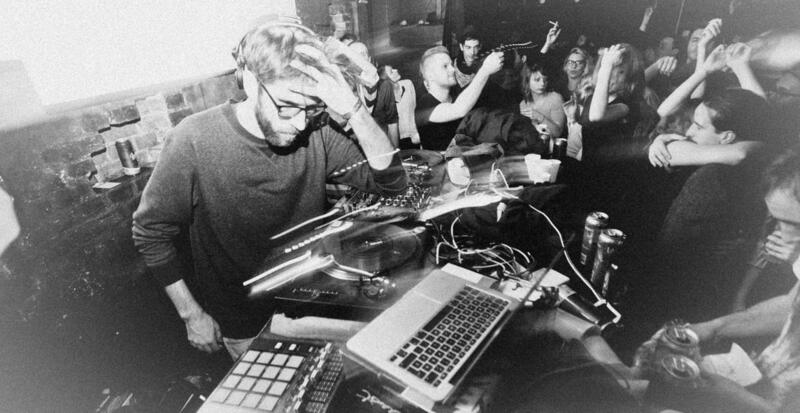 Borja Močnik aka Borka is the go-to guy for Slovenian underground electronic music. He might be one of the most regular DJs at venues in the Slovenian capital and further – and a very popular one. But he’s also a music journalist, the editor at two radio stations, a label A&R and an event promoter. He’s known for his passion for old-school Yugoslavian samples, re-works and technical skills, all presented through projects such as Good Foot, Tetkine radosti and of course his band, Jimmy Barka Experience, where he collaborates with another DJ/producer and his ally of many years, Bakto, and an impressive drummer and percussionist, Marjan Stanič. Even though Borka is first and foremost a DJ, he’s also been producing for years. He’s never strayed far from hip-hop music, working with acts such as Ironic Tronic, but he definitely found his sound in recent years, with his minimalistic (mostly) instrumentals making room for pleasant wonky melodies, vocal samples or even vocal guests, as on his most recent release for the rx:tx label, Player Piano. The EP features Borka’s way of sampling and chopping and making our heads bob. Even though he’s still young, the Slovenian electronic scene would definitely be worse off without him. Treat yourself to some beats from Ljubljana’s streets!